With just 78 total units produced, the Saleen 7 is one of the rarest supercars ever produced. Of those 78, the S7 offered here is the first of only four naturally aspirated S7s built with the optional “Competition” Saleen Performance upgrade package, according to Saleen records. With a carbon-fiber body, race-spec chassis and 625hp 7.0-liter Ford V8, it is as quick as it is rare. It will run 0-62 mph in just 3.3 seconds. Personally signed by Steve Saleen. The Saleen performance upgrade added a new cam, a modified ECU, exhaust and intake, and cost an extra $75,000 on top of the already high sticker price. 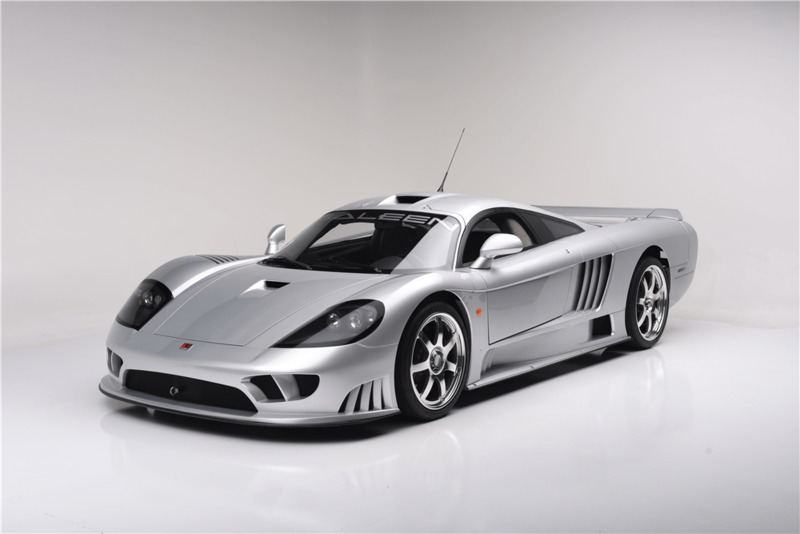 This particular silver Saleen S7 was also equipped from the factory with optional chrome upgraded wheels, remote door openings, carbon-fiber body, factory upgraded touch screen sound system with rear camera, factory rear wing, climate control, black leather with gray Alcantara throughout. Despite being a good 12 years old, this S7 has covered a mere 9,100 actual miles. Under the hood the car is fitted with a 7.0-liter naturally aspirated V8 engine delivering about 625hp. This is enough to rocket the Saleen S7 from 0-100 km/h (62 mph) in a mere 3.3 seconds, 160 km/h (100 mph) in an estimated 7.1 seconds and a claimed top speed of over 354 km/h (220 mph).